Whether I plan on shooting photo’s or surfing I always have a GoPro camera with me when I go to the beach, I’ve posted before about which one to get and the settings I use when I shoot with mine on top of my housing. This post is about how to use it when you’re surfing, rather than when you’re taking photos, I have experimented with a variety of mounts including on my helmet, back and various parts of my bodyboards, hand planes and surfboards. 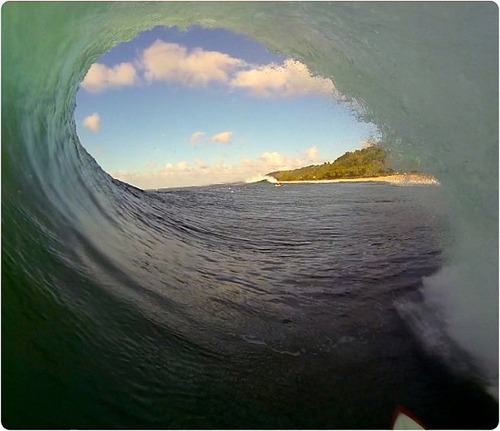 Recently I’ve seen quite a few frame grabs from with the camera held in the mouth of the rider, the image above was captured by Mark Healy at Pipe with a GoPro 3 in his mouth. I’ve seen a few instructional videos on how to make your own mouth mount but they’re not necessarily great for surfing or bodyboarding and sometimes end up being quite expensive. My solution involves a bit of duct tape, takes a couple of minutes to make and works pretty well. 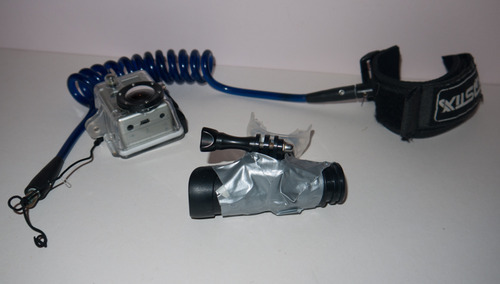 You will need a snorkel from a snorkel and mask (you can get a half decent set for £12 ish, this will also be useful for underwater surf photography), I had a couple lying around and one happened to have a removable mouth piece with purge valve, I simply taped a standard GoPro mount on to under side of the plastic part and it’s finished. The benefit is you get a nice soft silicone mouth piece to bite down on and with the GoPro hanging down level with your chin you’re less likely to cop it in the face when you fall off and hot your board or the sand. The plastic piece also gives you a nice handle for hand holding the camera when you’re filming other people and it’s not so big that you can’t stuff it in the neck flap of a front zip wetsuit. 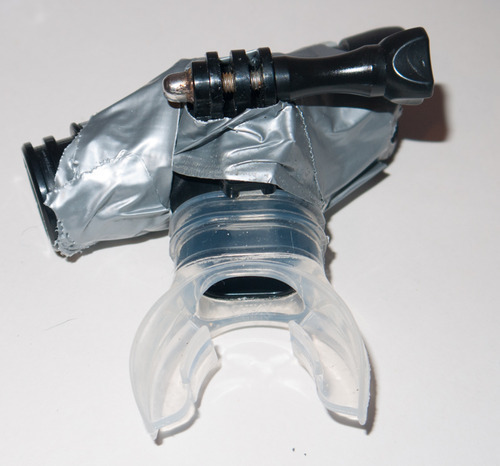 You can also breathe through the this version which is pretty handy, you might get some water in your mouth if you’re not careful but I haven’t had any issues as you can block it easily with your tongue or by just breathing out when you’re underwater. As with all GoPro mounts you should always attach a leash to the camera housing as well, otherwise you’ll lose it pretty quickly when you’re in the sea. Remember if you’re using the GoPro upside down you should change the settings so it shoots the right way up, otherwise it’s a pain to flip it all to watch it back. 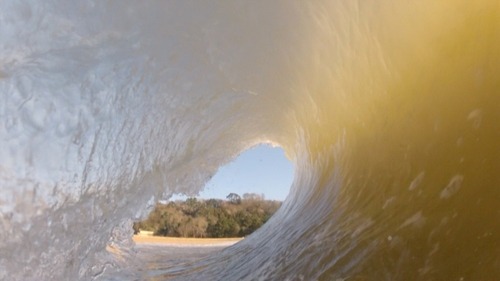 This is a frame grab from a session with the mouth cam, I had it in 720p mode but I think I’ll go with 960p mode in the future to try and get the front of the board in the shot for some scale. Youtube video of a moulded plastic mouth mount.